*This project has been made possible by the kind contributions of many supporters in Victoria and beyond. Click on the logos below to visit their sites. Veterans Affairs Canada through the Canada Remembers Program endeavours to keep alive the achievements and sacrifices made by those who served Canada in times of war and peace. The University of Victoria is more than a top research university in a spectacular West Coast location. We’re a university of achievement, a university of curiosity, a university of integrated learning, and so much more. UVic is ranked #11 globally and first in Canada among universities less than 50 years old by Times Higher Education (THE). It also ranks in THE’s elite global list of the top 200 universities, which includes approximately one per cent of the world’s best institutions. 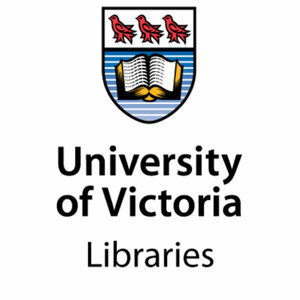 The Special Collection Section of the University of Victoria Library holds a remarkable collection of material about the great war including oral history recordings of veterans of the Great War. As part of our contribution, this project has digitized The Colonist Newspaper for the period 1910-1920. In addition, the Library has republished a large number of their Great War images on the site. The Archives of the Royal BC Museum hold a vast store of material about the history of British Columbia. As part of this project, we were able to digitize an addition 100 items that are now available to the public. In addition we have been able to freely reuse a very large selection of digital material from their collection. The Canadian Great War Project has long been a source of inspiration. Mr. Marc Leroux,, whose efforts over more than a decade built and expanded the Canadian Great War Project web site, generously provided the initial data set to support the service records section of our site. The generosity of many community and local archives is at the core of our collection. In many cases the material now available on this site has not been previously available on-line. We are forever thankful for their support. City of Victoria Archives *We regret that due to the very high fees associated with the digitization and display of images from the Victoria City Archives, we are unable to provide direct access to their material on this site.